Congratulations to graduate student, Danielle Sottosanti, for being chosen to deliver a portion of her Doctoral research at New York City’s Medieval Inter-University Doctoral Consortium. The Doctoral Consortium, which draws from faculty and graduate students from CUNY – Brooklyn College, CUNY – Graduate Center, Columbia, Fordham, NYU, Princeton, Rutgers, SUNY - Stony Brook, and others, showcases the research of top students in and around New York City. Danielle’s paper, “The Romance of Crossover: Why Now is the Time for Broader Study of Late-Medieval Religious Conversion,” formed part of a session entitled “Finding New Paths,” chaired by Professor Steven Kruger of CUNY – Graduate Center. The Consortium was hosted this year by NYU on 27 April 2018. 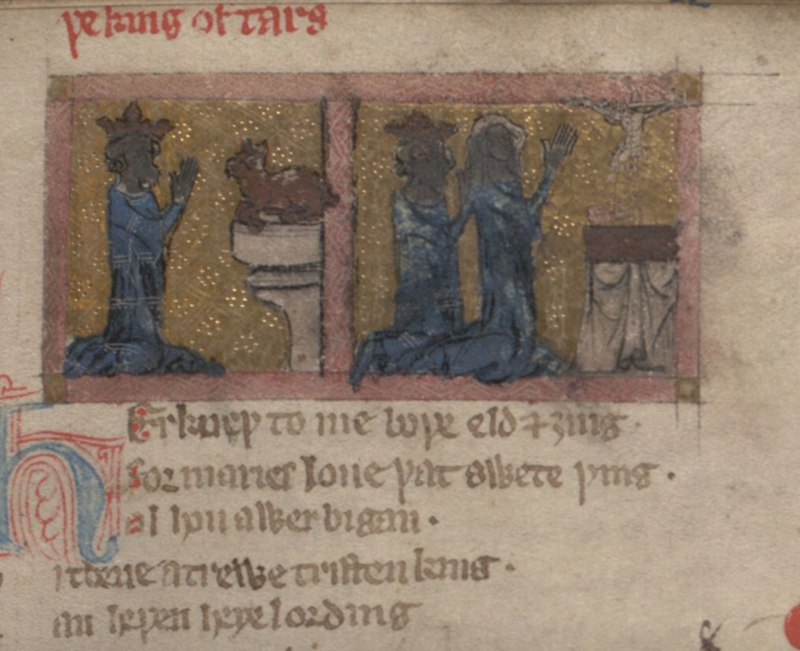 The attached image from the Auchinleck MS imagines religious conversion in the enigmatic, medieval romance, "The King of Tars," where the convert's skin color changes once he is baptized. Please join the Fordham community in congratulating Danielle for a job well done!